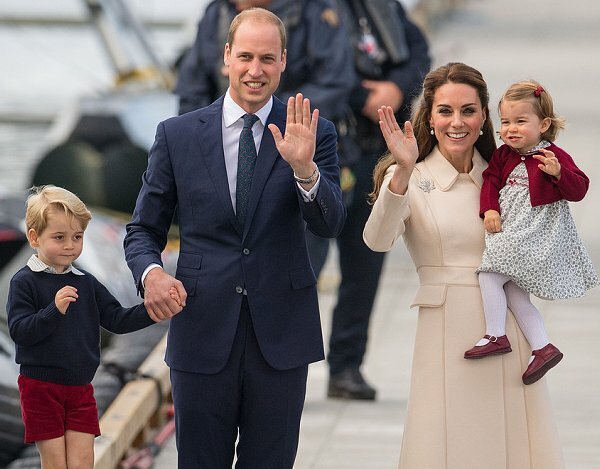 The Cambridges' eight-day tour of Canada concluded this afternoon when the family arrived at Victoria Harbour seaplane terminal. 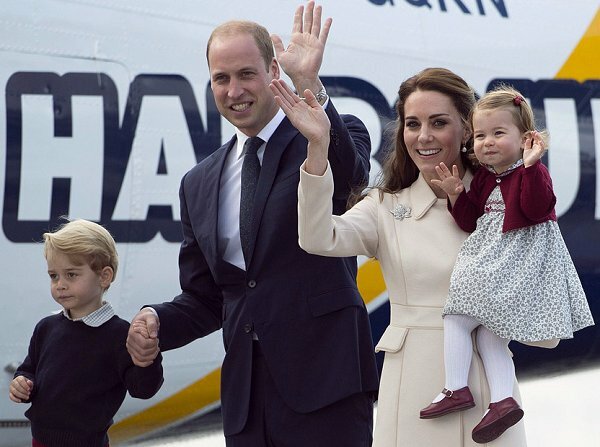 Catherine, Duchess of Cambridge and Prince William, Duke of Cambridge, Prince George and Princess Charlotte attended a ceremony to mark their departure at Victoria Harbour Airport in Victoria, Canada, on the eighth day of the Royal Tour to Canada on October 1, 2016. The Duchess wore a cream coat dress by Catherine Walker. Ils ont l'air contents de partir ! Comme tous ceux qui rentrent à la maison! Ça ne veut pas dire qu'on a fait un mauvais voyage mais la maison, c'est la maison. 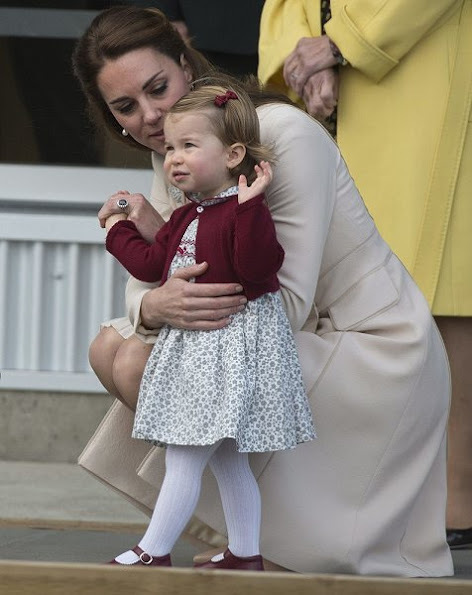 La petite princesse Charlotte est tellement cute! So cute the children are! ik heb er van genoten, wat een leuke kinderen,kan niet ander van zulke leuke ouders !!!! It's just what I mean ! Lovely ensemble and Kate looks so much nicer with her hair nicely groomed. Doesn't Charlotte look like Eugenie? I think Charlotte strongly resembles Sarah Chatto, Princess Margaret's daughter.. Very pretty. The children too. I like the knee socks on George and the retro look on the children in general. 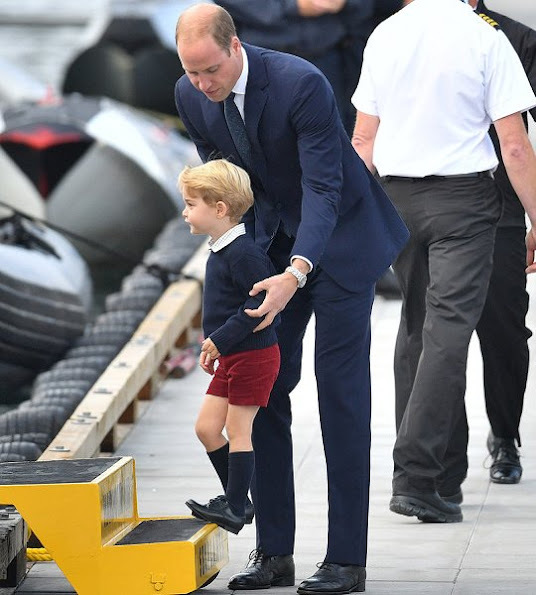 I know a lot of people think Kate should put on George more "modern" clothes and that George might feel uncomfortable in the future looking back at his childhood pictures, thinking how stupidly he was dressed but I really think it's quite the opposite: this is a timeless look in boy's clothing. Actually the only childhood photos I don't look ridiculous are the ones where I wear something very classic, also stamped as outdated at the time (like a simple white cotton dress and knitted white cardigan on the day of my first communion). I'd like to dress my children like that when the time comes.